If you like this free game, try 4 Elements 2. The magic of the 4 Elements has been corrupted by evil. Unlock 4 ancient books and collect 16 mystery cards by taking on different match 3 puzzles. Restore peace to the ancient kingdom. This is a family game that trains both your memory and logic. 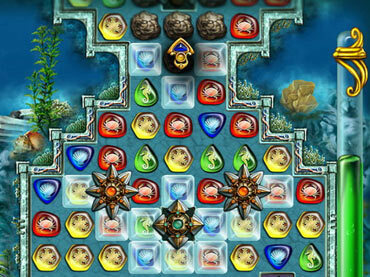 - 4 elements is a free full version game to download and play. If you have questions about 4 Elements game, please contact us using this form.